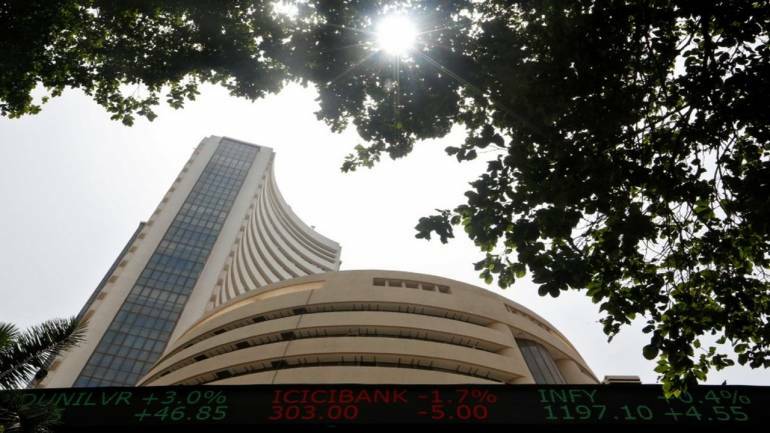 The S&P BSE Sensex and Nifty50 moved in a tight range but failed to register a breakout and closed 0.24 percent and 0.19 percent lower for the week that ended April 12. But, there was plenty of action in individual stocks. As many as 16 companies in the S&P BSE 500 index hit their fresh 52-week highs in the week gone by which include names like ICICI Lombard, The Jammu & Kashmir Bank, Siemens, Merck, Info Edge, Honeywell Automation India, SKF India, Bajaj Finserv, PVR, Kajaria Ceramics, Pidilite Industries etc. among others. As many as 5 out of the 16 stocks which hit their 52-week highs witnessed profit booking and closed the week on a negative note which includes names like Infosys, The Karnataka Bank, HDFC, SRF, and Bajaj Finance. The market witnessed selling pressure at higher levels. After making an intermediate top at 11,761, Nifty faced selling pressure around 11700 while at the same time bulls supported the market at levels 11500-11550. The index has rallied by over 1000 points from the lows of 10600 recorded on 19 February to the record high of 11761 on 3 April. After a strong rally, most experts feel that the index is likely to consolidate further till mid-May while the action will shift to specific stocks amid March quarter earnings. The action on the D-Street will be dominated by the election outcome. “After Nifty’s massive pre-poll rally from levels of 10598 to 11761, markets have been consolidating and are likely to remain rangebound at least till the mid of May. It is the fear of the unknown in the form of an unexpected election outcome which is capping the upside for the markets,” Umesh Mehta, Head of Research, SAMCO Securities told Moneycontrol. “The Indian bourses are brewing with speculation but until the results are out there will be some hesitation which will cloud the markets,” he said. Technically, 11,550 levels will prove to be a strong support level which if breached can take the markets lower and on the upside if Nifty crosses 11750 then there are chances for the market to attain new highs. Lackluster trade is likely to continue in the coming week with just three active trading sessions. Markets will remain shut on Wednesday and Friday on account of public holiday. The Nifty index formed a bearish resembling ‘hanging man’ kind of candlestick pattern on weekly chart which indicates reversal trend, while it made small bullish candlestick pattern on daily scale led by buying in consumption stocks. The momentum indicator signaled a positive divergence with its weekly RSI 66 odd levels, and MACD continued to trade above its signal-line. The weekly resistance for the index is now seen at 11710 levels while support is placed at 11500 odd levels. “The equity market is likely to remain volatile going forward on account of general election coupled with weak global growth prospects, which is expected to deepen the sentiment,” Dinesh Rohira, Founder and CEO of 5nance.com told Moneycontrol. “Strong corporate earnings are likely to be the impetus to limit a downside risk of Nifty index, and thus, advised to remain with selective opportunities for long position. With strict stop-loss we maintain a weekly level of 11710 levels on upside and 11500 levels on the downside,” he said.